Two women who job shared as branch managers of Natwest Bank in St Ives for fifteen years have rekindled their working relationship. Jo Allen and Sally Endean’s professional double act ended temporarily last year when they accepted an offer of voluntary redundancy. The duo are now working together again at the recently expanded St Ives office of independent financial advice firm, Atkins Ferrie Wealth Management (AFWM), as company ambassadors. 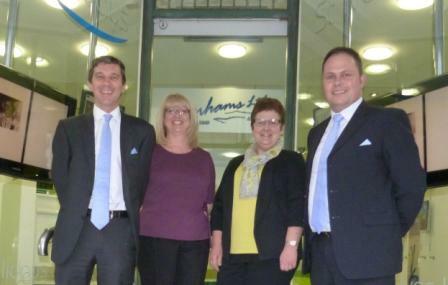 MD, John Waldie, said: “I am really excited about Jo and Sally’s arrival to develop the St Ives branch of the business. “We have been in the town for a year now but as we have been so busy, we haven’t been able to focus on expanding our presence in the town as much as we would have liked.